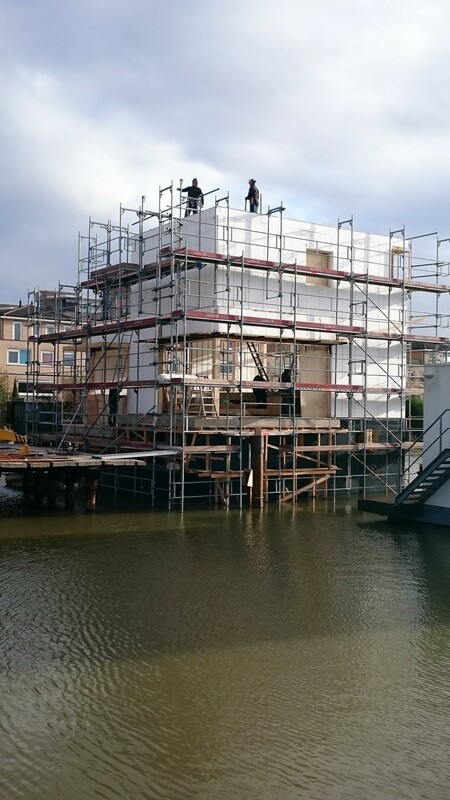 The 6th and final floating eco home in the Harnaschpolder in Delft is currently in the making. 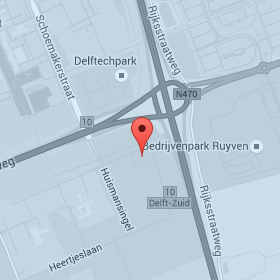 The municipality of Delft and DeltaSync started this unique project in 2009, together with future inhabitants. It is one of the first floating housing projects in the world which features private ownership of water plots. The project combines housing and water retention, includes a new biking- and hiking route along the ecological zone and is a good example of local climate adaptation. The building has a very low point of gravity which results in a high level of comfort without much movement in strong winds. Great freedom of design and size, easily over 10×15 meters; it is possible to design a villa with dynamic lines. High level of quality, competitive to villa’s on land. The system has a very high insulation, so a very low consumption of energy. The floating basement is produced of glassfiber-reinforced composite. With a simulation and calculation program all design principles can be tested beforehand. A large part of the building is prefabricated and will be assembled on the shore or on a special developed hydraulic platform.